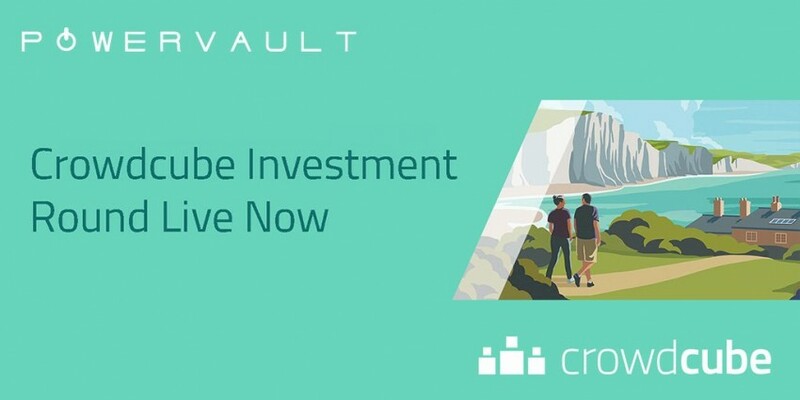 – Powervault intends to raise a total of £2.5m-£5m this year from a combination of crowdfunding, High Net Worth and institutional investors. – Powervault, who have already deployed hundreds of storage devices to homes across the UK, are seeking funds to accelerate their market growth as their business reaches a tipping point for mass market deployment. London, 5th June 2017 – Today, Powervault enables any of the 1 million UK homeowners with solar panels to store their own self-generated solar energy or cheap electricity from the grid. Later this year, Powervault will allow any home with a smart meter to store cheap energy from the grid and save money on their electricity bills – meaning their addressable market is due to increase 25 fold over the next 5 years, along with the roll out of smart meters. The campaign, which was launched on Crowdcube on Tuesday 6th June, has raised 90% of their target within 10 days of launching. With the investment funding Powervault will accelerate the roll out of its smart home battery. Powervault’s Chairman, Simon Acland is following on from his previous investments with a £40,000 investment taking his total investment to £100,000. On Monday Powervault announced a partnership with Renault that will see them using batteries from their electric cars in their units, making their product 30% cheaper, futher enabling mass roll-out. Powervault are also partnering with energy supplier, Tonik, who have an ambition to put 1000 units in their customers’ homes within the next year.